82 percent of Russians approve of the Vladimir Putin's job as the Russian president, while the Parliament's work was approved by 42 percent of the respondents, according to the poll. MOSCOW (Sputnik) — A total of 82 percent of Russians approve of the Vladimir Putin's job as the Russian president, a poll conducted by the Moscow-based non-profit Levada Center revealed on Wednesday. 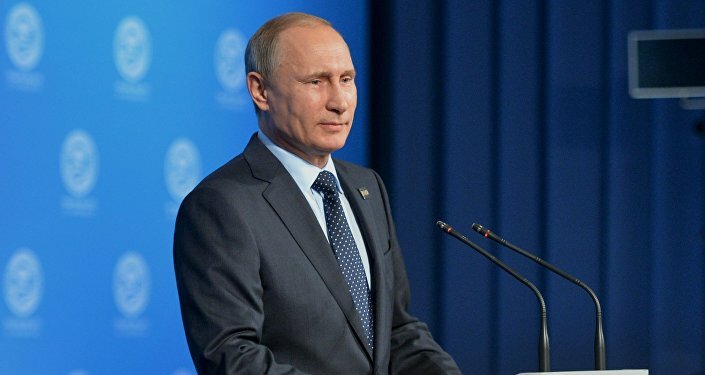 Approval rating of Putin's job as Russian president was 81 percent in June, while in July 2015 it totaled 87 percent. In addition, 55 percent of Russian nationals approve of the work carried out by Prime Minister Dmitry Medvedev, while 51 percent of Russians said they were satisfied with the work of the government as a whole. Almost half of Russian citizens (46 percent) believe that the country was moving "in the right direction," while 37 percent expressed the opposite point of view and the rest could not give a definite answer. The Parliament's work was approved by 42 percent of the respondents. 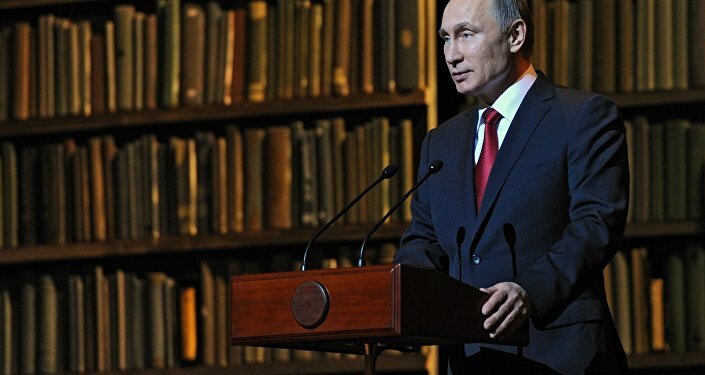 Thus, July's list of most trusted politicians in Russia was headed by President Putin, with 53 percent of support. Defense Minister Sergei Shoigu and Foreign Minister Sergei Lavrov followed suit, with 24 and 21 percent of public trust respectively, the poll revealed. The survey was conducted on July 22-25 among 1,600 people aged 18 years and older across 137 settlements in the 48 regions of Russia.